20W50 is a premium, super multigrade that guards against wear by providing a superior oil film strength and extreme high temperature strength. 20W-50 exceeds API service SM, SL, SJ and SH. Use SAE 20W-50 when ambient temperature is above 20 degrees Fahrenheit. 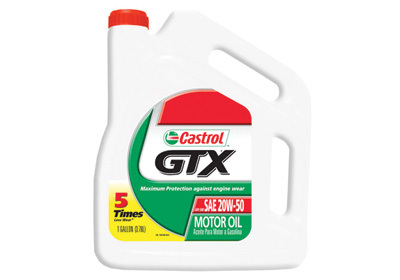 Castrol GTX exceeds demanding U.S. high shear and stay-in-grade requirements for viscosity breakdown protection. Far exceeds the demanding U.S. requirements for viscosity breakdown in every grade! 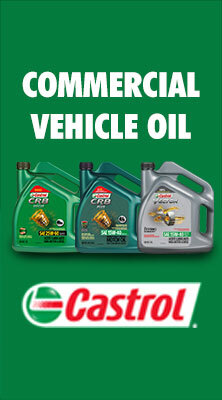 Engineered to provide maximum protection against viscosity and thermal breakdown! Anti-oxidants, detergents and dispersants provide unsurpassed protection against thermal breakdown. Exceeds passenger car and gasoline light truck requirements for the protection of gasoline and turbocharged engines where API SM, SL, SJ or SH is recommended.